WEAPON-X SPI Port Injection Kit: Plug And Play, Tank to Tip, No More DI Limits! 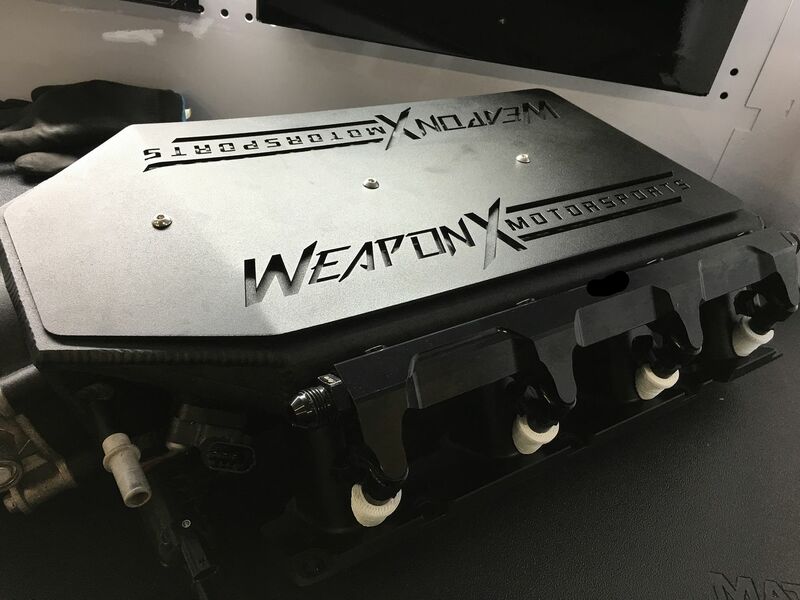 We have been working closely with some of the supercharger manufacturers to provide a complete fuel solution for all manifold options as well as model platforms, and we're pleased to announce after months of testing, we're ready to release the WEAPON-X Secondary Port Injection Kit or abbreviated as WEAPON-X SPI Kit (pronounced SPY)! 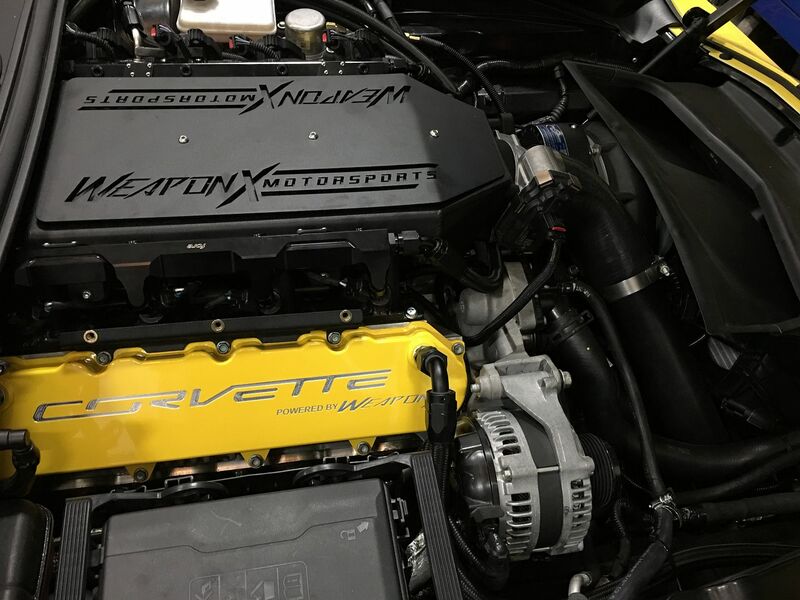 This complete package sets a new unprecedented secondary fuel solution from fuel tank to injector tips, allowing the end user to hit 1,000+ wheel HP with just a few basic mods on LT4 cars and this kit can support up to 1,500 wheel HP! The SPI Kit comes with the low side kit, rails, injectors, regulator, plumbing, control module, and a complete wiring harness, so you or your shop can get this installed in a day! 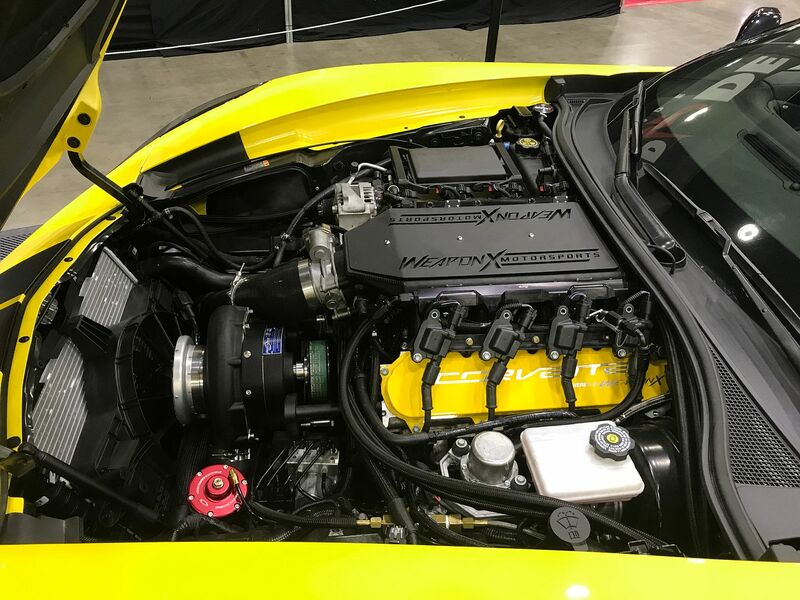 As technology evolved and emissions regulations became more and more stringent, direct injection hit the automotive world stage. Direct injection is very similar to port injection until the fuel supply reaches the engine, then it goes through a second "high pressure" fuel pump, driven off of the camshaft, which increases the fuel pressure from 72 PSI to nearly 3,000 PSI! It then goes through the high pressure injectors and enters the engine directly into the cylinder. This is great for a lot of reasons including more precise fueling, higher air fuel ratio ability when boosted, and of course emissions; however, the inherent problem that quickly arose was the limitations of fuel supplied. The best part about our kit aside from it being plug and play, is the fact that the ENTIRE KIT is $4,999! This might sound like a big investment if you're just looking at the number, but this is a complete fuel solution from tank to injector tip including the secondary controller and tuning software as well as support. 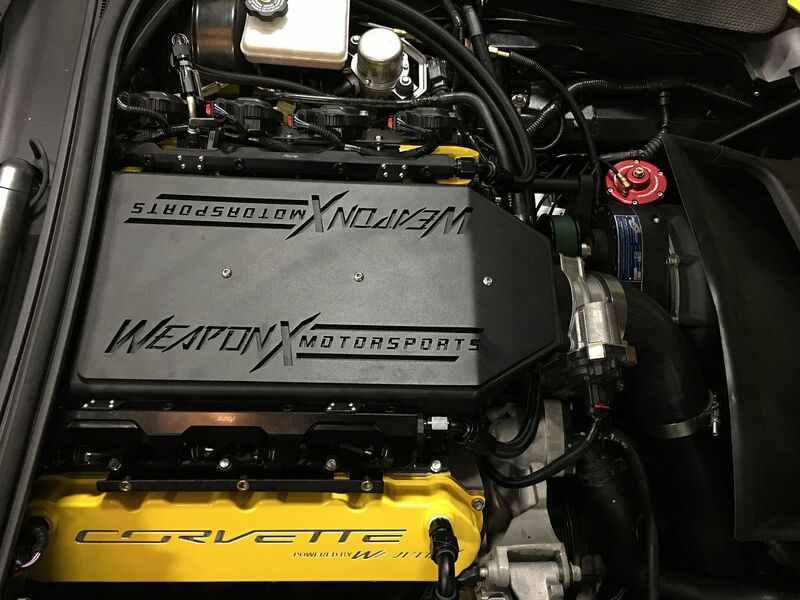 Not everyone needs port injection for moderate power of course and we use all of the other options on customer builds as well, but for big power gains/goals, the WEAPON-X SPI Kit is a great bang for the buck and allows for future growth. Troy came to us and wanted some moderate power at first, but we all know that it's never enough. He had meth injection and a low side fuel system, then ended up doing a cam kit as well, and later wanted to do a larger blower. So, we swapped the blower system to Procharger's big boy F1X. 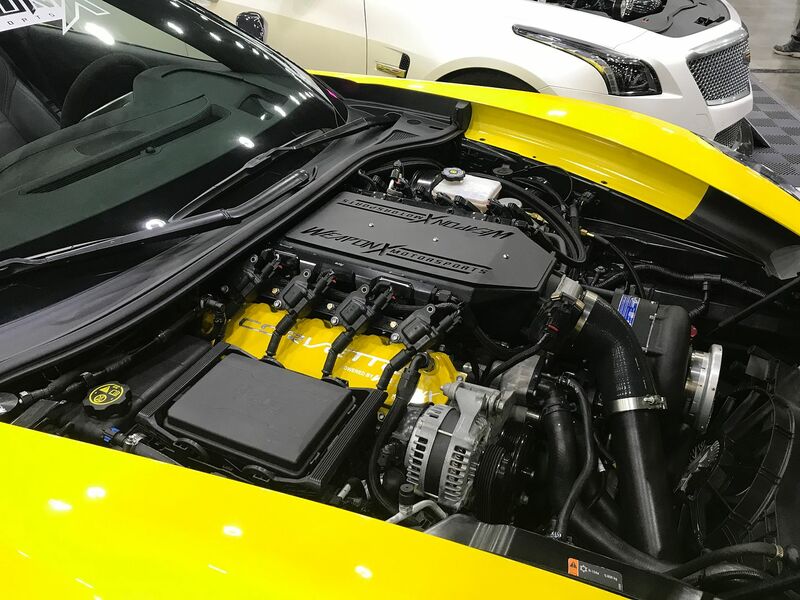 This Z06 is only setup for 18psi and in 5th gear made 715 wheel HP with just 15* timing on 93 octane. We weren't pushing it with the timing on this because when spraying methanol, there is no guarantee of even cylinder distribution. 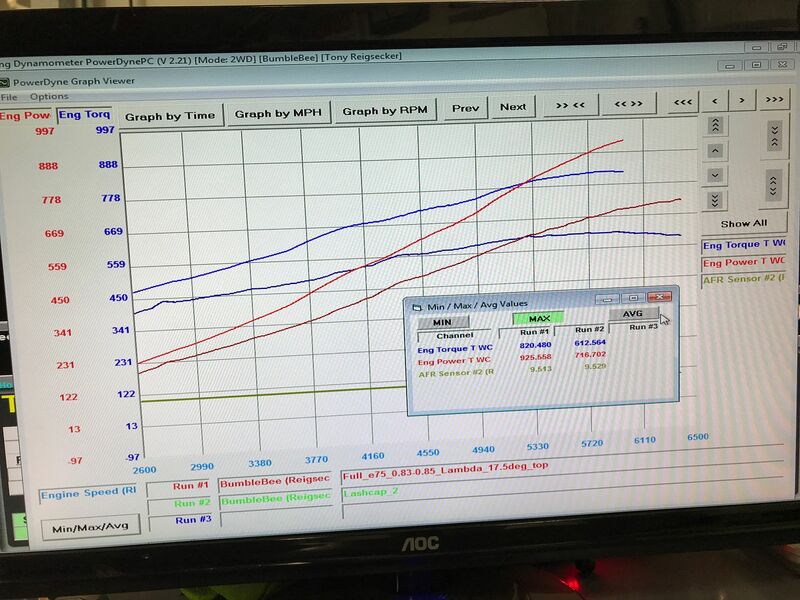 So, 715 wheel HP seems low, but 6th gear is 1:1, so 5th is about 10-12% low when we've tested the two and this is a Mustang dyno. 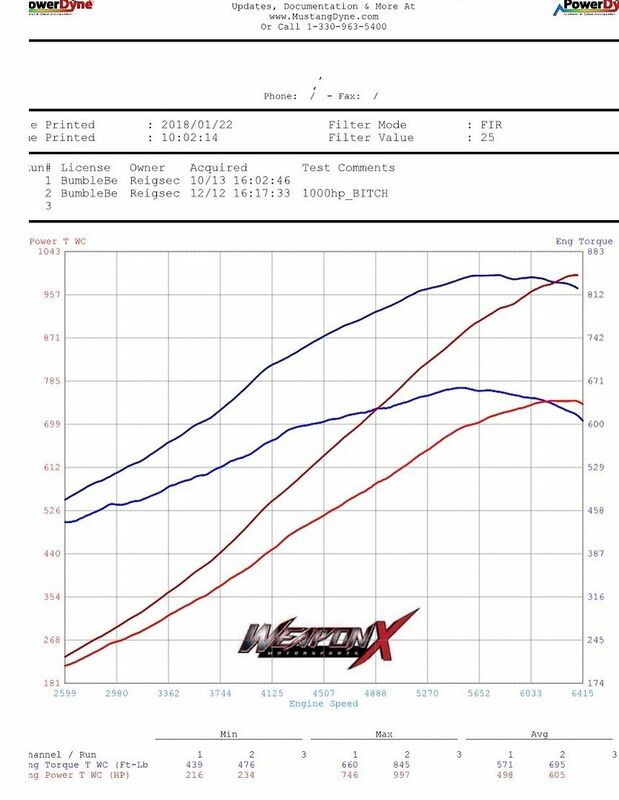 So, 6th gear would be right around 800 wheel HP on our dyno, 880 wheel HP on a Dyno Jet, if we're bench racing LOL. 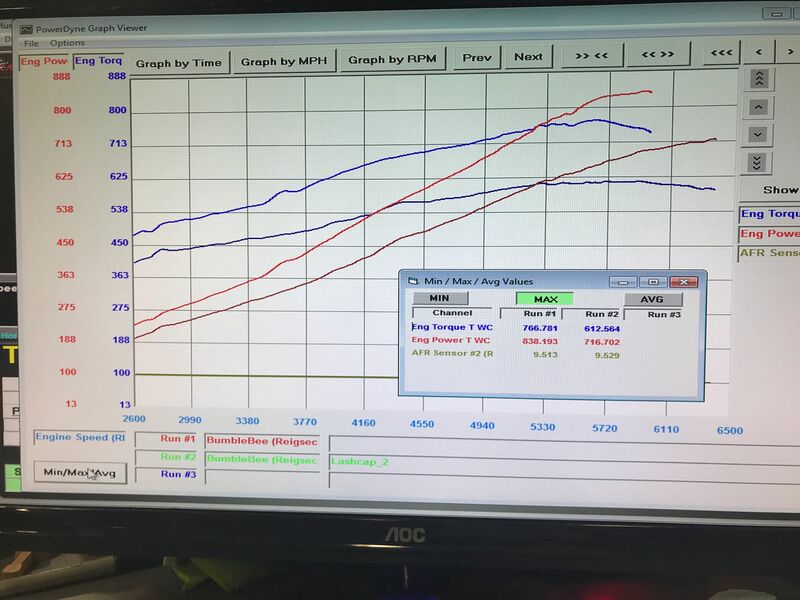 We usually tune in 5th gear and verify in 6th gear, but Procharger's C7 Air to Air intcerooler is notoriously undersized and heat soaks terribly in 6th. So, 5th shows better comparison numbers. 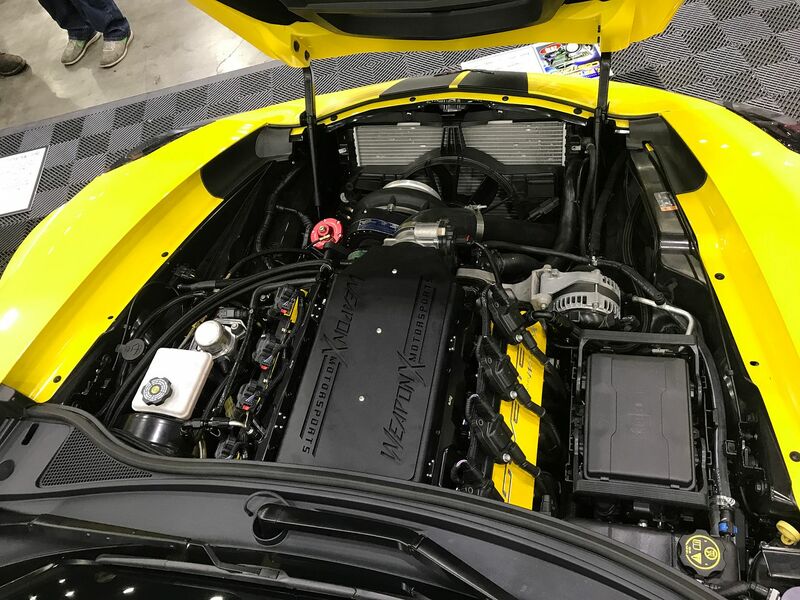 We developed the Procharger SPI Kit on this car, so Chris worked through the setup of the controller with our engineer David and the resulting harness makes it very simple for the installation! When we first started out, we only had 63lb injectors from a ZR1 in the rails. In 5th gear, without any other changes other than the meth off and three degrees more timing, and the power output shot up over 100 wheel HP! With another degree and a half, we were up over 900 wheel HP in 5th and we ran out of injector! So, we cut to the chase and went to the 127 LB/HR injectors we had in my ZL1 port setup and these were up to the task! We added three more pounds of boost and timing up 4* over where we were with 93 and meth. The gains and correct fueling were just incredible, especially considering we hit 1,000 wheel HP with 22 PSI in FIFTH gear! That same combo with 93/meth doesn't even hit 900 wheel HP in 5th usually. This higher HP was achieved with only E72 pump gas, no meth, and it's worth noting that without the 45GPH of meth spraying, the Manifold Air Temps as well as the IAT sensor readings were much higher, the meth air temps would go down, and the SPI readings were going up. We certainly could've pushed more timing too, but felt we would do that at the track when the car goes with closer to E85 too. The benefits of the SPI kit is the ability to run full ethanol, the fuel is spraying across the back of the intake valves which naturally cleans them, and the fuel will cool the incoming air some additionally too since the high pressure pump will naturally increase the temperatures of the fuel as it is compressed. I have always been curious as to how much because there are PIDs in there to see rail temps, but no sensor to log. 2017 Black Friday Sale - Is on NOW! Grand Prize WHIPPLE SUPERCHARGER! 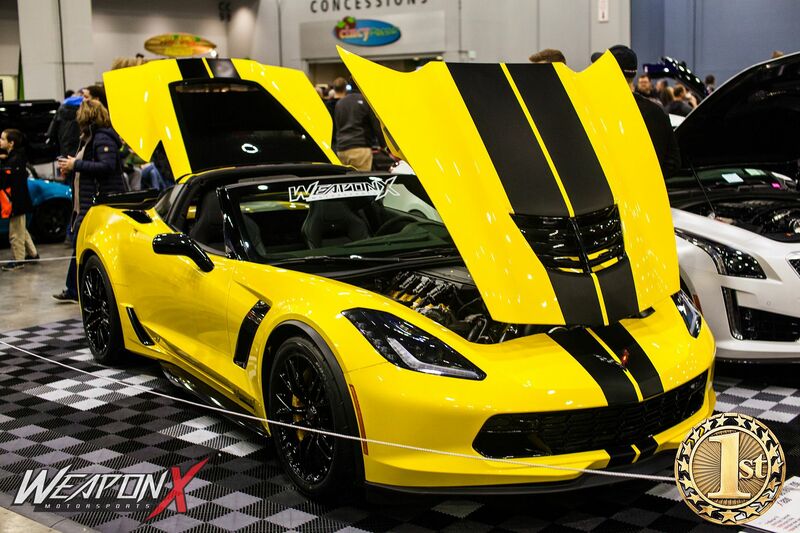 WEAPON-X Motorsports takes delivery of a C7 Corvette! Have you used your system on either single or dual turbo charger applications. I am building a 421 inch ls motor with nelson racing mirror image 60 mm turbos and need manifold and fuel system. any suggestions.